"Staying on task and keeping organized in this digital world is tough. 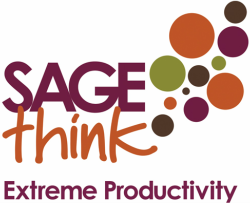 The Sage Coaching Group helps me prioritize, become an expert at time management and work smarter. My business has become easier and I'm working way less hours, making just as much money, that's progress. The group accountability helps me step out further and create bigger goals." Patti is an expert master coach, gets to the root of issues and guides me to quick resolve. She is one of a kind and as a master coach myself I'm picky about who I hire for my coach. Patti cuts to the chase and that's what I'm in for. New ideas that move my life forward. " The Extreme Productivity Community is designed to give you the support and encouragement you need to stay in action and produce results consistently over time. For instance, you may know you need to have 20 sales conversations per week but you always fall short. The structures within the community will help you get and stay consistent with your calls. “Patti is a powerful communicator, a sensitive and insightful resource, and provides ongoing commitment and contribution not only to her clients, but inside of all of her professional relationships. She is a joy to work with." You can be a part of this program and get ahead of the curve. While your friends are stuck in overwhelm and continue to be time-poor, you'll be experiencing freedom and peace of mind. The 1-month trial is for you if you are ready to give up being a lone ranger and you are committed to developing the skills necessary to ensure your success while engaging powerfully with other business owners who are committed to your success. Some of my colleagues charge as much as $500 for 30-days in a program like this. Because I am so passionate about this work, I am doing something totally crazy! If you are really committed to mastering your time and increasing your productivity, I want to match your commitment. So I am gifting you a 230-day trial in the Extreme Productivity Community at no cost. After you have experienced the incredible power of accomplishment, you will be able to continue for as little as $97 per month. "Thank you for being so generous as you share about what you are doing. I have gotten many new ideas to support my productivity. I have never felt so connected, working from home." "Patti was the best thing I could have done for myself. She helped me view my business in a new light and better understand my world as a business owner. Thanks Patti!"